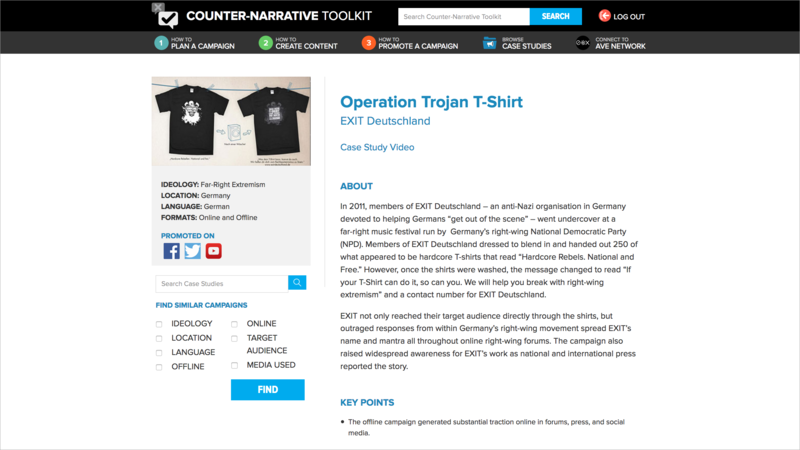 Counter-narrative campaigns can be extremely effective in countering extremist ideology. 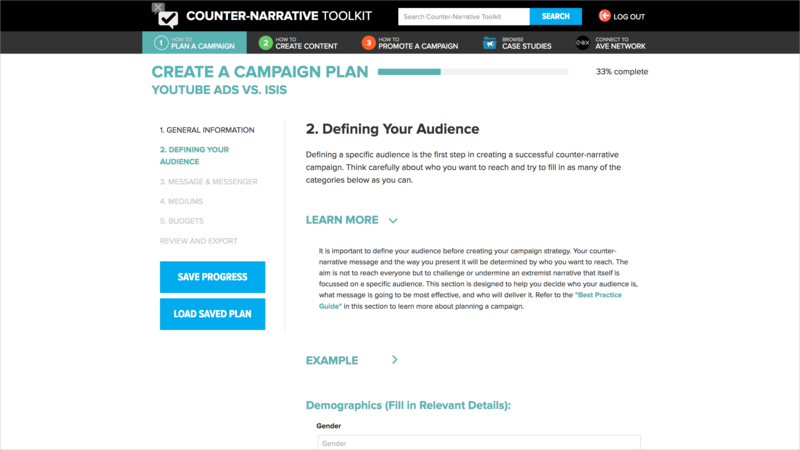 By creating content directed at the same audiences that the extremists seek to recruit, activists and NGOs can challenge their messages and offer alternatives. 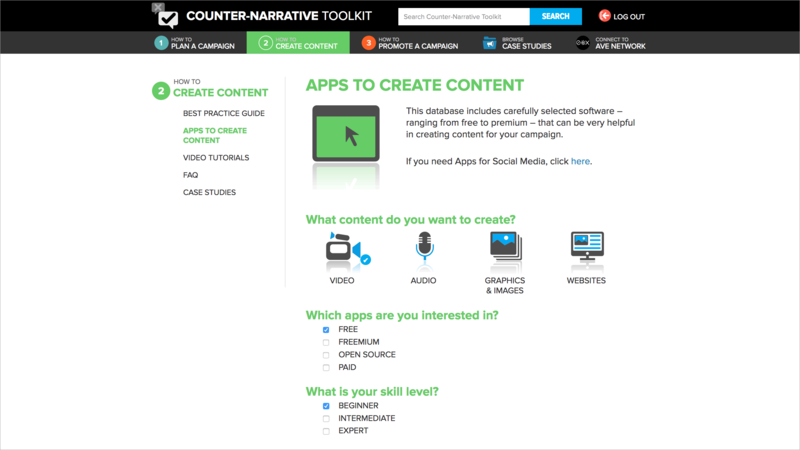 However, people looking to make counter-narratives frequently lack the skills, knowledge and resources to create engaging content. How could we fill in the gap between the desire of activists and NGOs to create compelling counter-narratives and their current skills? 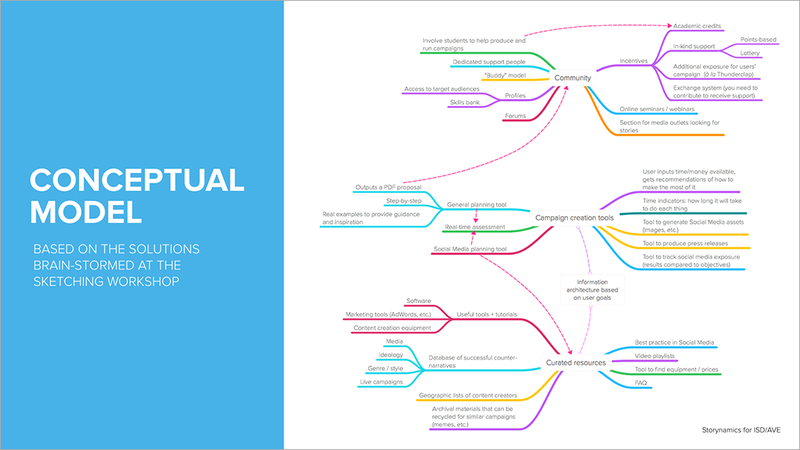 The Institute for Strategic Dialogue approached us to find a solution that would improve the ability of activists everywhere to create counter-narrative messages. The starting point was extensively surveying and interviewing activists and NGO staff in 6 countries, to develop an understanding of their current level of skill and their needs. 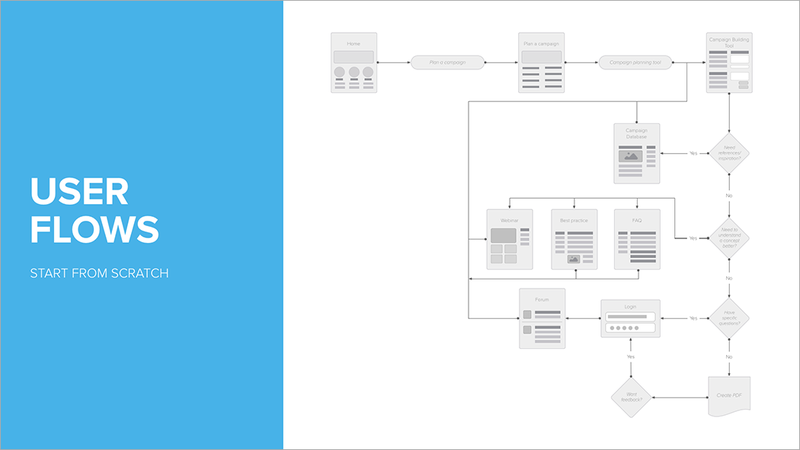 Through this process, I created two very different personas that encompassed the diversity of our user base. From these insights, I led a sketching workshop with ISD counter-extremism experts to identify solutions to those needs. Since not all features could be implemented within the scope of the project, we ran a card-sort to have practitioners identify those that they found more useful. I then created a hi-fi Axure prototype and conducted extensive user testing, producing a number of iterations to guarantee usability. This proved a particular challenge, since our users included people with much counter-extremism experience but little technological savvy, as well as non-native English speakers. — Former jihadi. Creator of Abdhulla-X. 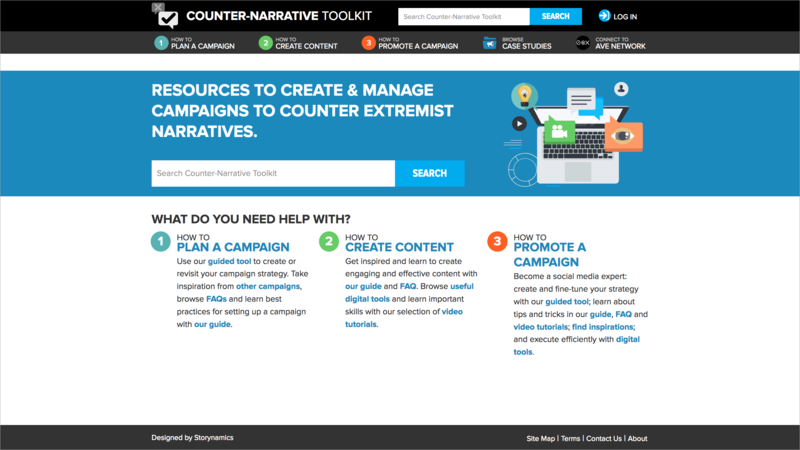 The Counter-Narrative Toolkit website has provided a first point of call to activists and NGOs looking to create counter-narratives. 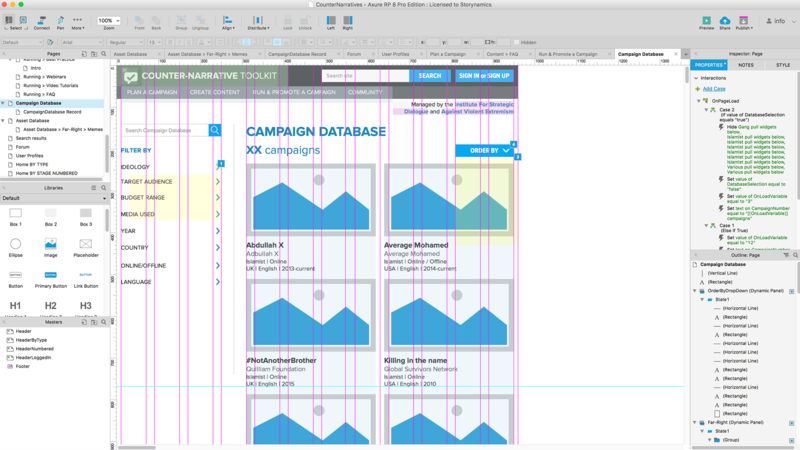 It has also been particularly useful for individuals and organisations in developing well-structured and professional-looking campaign plans to apply to a wide range of funding opportunities. 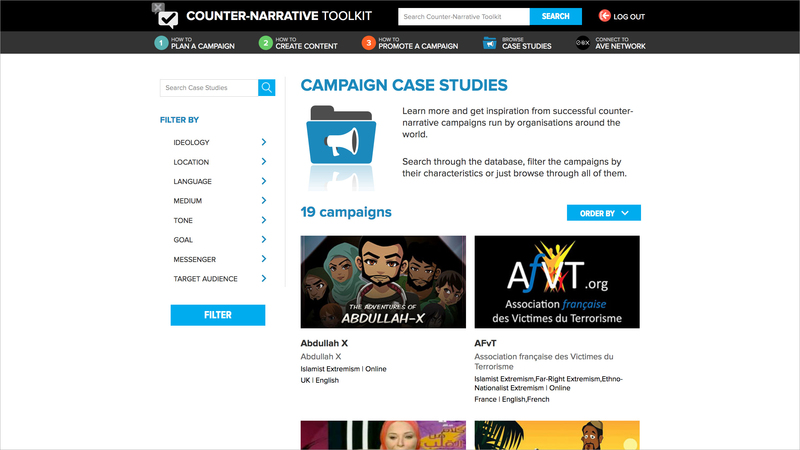 As part of the AVE Network, it has provided additional resources to an international group of experts and activists in the field of counter-extremism, introducing a number of them to alternative narratives as a useful tool in preventing radicalisation.